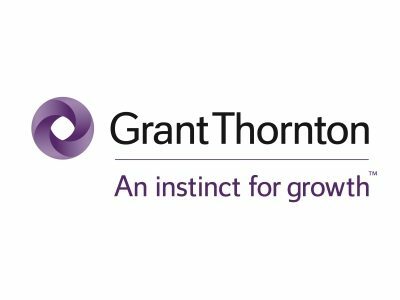 Grant Thornton is part of a global organisation providing business and financial advice to clients that demand world-leading solutions. As an innovative, ambitious and award-winning firm, we work with over 40,000 businesses in the UK alone at some of the most exciting parts of their growth journeys; organisations of all shapes and sizes across a broad range of sectors from fast-growth start-up companies to multi-national corporates and public sector bodies. Getting to the core of client needs and meeting them with clarity and insight is at the heart of our business. In today’s competitive market, we provide solutions that really add value through a combination of technical expertise, rigorous critical thinking and personal attention. You are not alone. There is a wealth of accessible and extensive business experience, and support available to business owners, from professional advisors to mentoring, coaching and training programmes. Just having that external sounding board can be invaluable in helping your reach conclusions and make decisions on vital aspects of your business plan. Boost Business Lancashire provides a useful gateway for businesses to find and access available and appropriate advice and support in Lancashire. Lancashire is one of the key economies in the North West, with a wide range of sectors ranging from traditional industries to high tech, digital and innovative clusters supported by a strong university presence. Global companies based in Lancashire and operating in key sectors such as automotive, aerospace and energy provide distinct supply chain opportunities for smaller businesses in the county. Lancashire businesses have the environment and linkages in which to prosper and achieve great results. Boost is a great initiative to encourage and stimulate growth of the Lancashire business economy. The aspirations of Boost are very much aligned to those of Grant Thornton; our purpose is to build a vibrant economy, based on trust and integrity in markets, dynamic businesses, and communities where businesses and people thrive.